April 3: You are invited to join together in worship with the churches of Cedar Springs for our community Good Friday service at 6:30 p.m. on Friday, April 3, at The Springs Church, 135 N. Grant Street, Cedar Springs. Children’s programming provided through 4th grade. This program is being sponsored by the Cedar Springs Ministerial Association. April 5: Resurrection Sunday worship at 10:30 a.m. Please join us as we celebrate our Lord’s life, death and resurrection. March 29: Palm Sunday Worship at 9:00 a.m. & 11:00 a.m.
April 2: Maundy Thursday Worship with Holy Communion and Tenebrae worship service at 7:00 p.m.
April 3-4: A time for individual prayer 9:30 a.m.a to 5: 30 p.m. Friday, and 9:30 a.m. to 12:30 p.m. Saturday. April 5: Easter Sunday Sunrise service 8:00 a.m. Breakfast in Fellowship Hall (free-will offering) at 8:30 a.m. Easter worship with communion at 10 a.m. One service only. Call 696-11-40 for more info. April 5: Easter Morning Worship at 9:30 a.m. w/ Easter Brunch following. April 3: Good Friday Service at 6:30 p.m.
April 5: Easter Sonrise Service at 8:30 p.m.
Easter Service at 10:45 a.m.
April 5: Sunrise Service at 8:00 a.m, Easter Breakfast at 8:45, and Easter morning worship at 10 a.m.
April 5: Easter morning worship at 10 a.m.
April 4: Saturday Easter Eggstravaganza, egg hunt and more 1 – 2:30 p.m.
April 5: Easter morning Worship Services at 9:30 & 11:15 a.m.
April 2: Mass of the Lord’s Supper Holy Thursday: Mass at 7p.m. April 4: Holy Saturday: Easter Vigil at 8 p.m.
April 5: Easter Sunday: Mass at 8:30 a.m., 10:30 a.m., and 5 p.m.
April 3: Community Good Friday Worship Service at 6:30 p.m.
April 5: Easter Sunday Morning Services at 9:45a.m. & 11:15a.m. April 3: The community is invited to worship together on Friday, April 3, at 7 p.m. at Bella Vista Church, 5100 Belding Rd. NE, Rockford. The theme is “The Seven Last Words of the Cross.” Sponsored by the Rockford Ministerial Association. 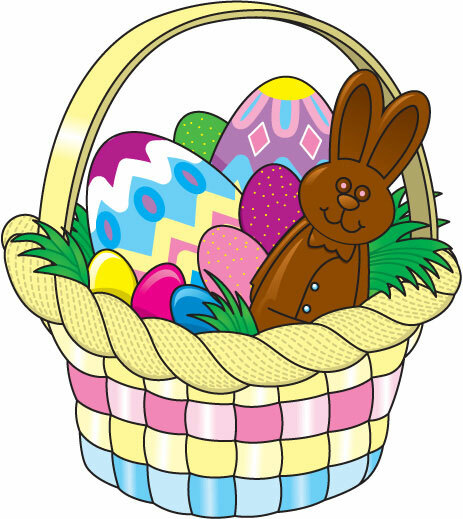 April 4: Saturday Easter Eggstravaganza – Egg Hunt Noon-12:30; Games, Crafts & Hot Dog Lunch 12:30-1:30 p.m.
April 5: Easter morning worship at 10:00 a.m.
April 2: Maundy Thursday 7:00 p.m.
April 5: Easter morning worship at 9:30 a.m.
April 3: Walk to each of the Sand Lake Village churches and listen to the thoughts of characters who experienced the crucifixion first hand. From noon to 1:30 p.m. on Friday, April 3. Begin at the Catholic Church (1 W. Maple), then visit the Full Gospel and Resurrection Lutheran Churches, and end at Sand Lake United Methodist, with light refreshments after. Families and children encouraged to come. April 5: Easter Service 11:00 a.m.
March 29: Palm Sunday Service 9:30 Am ~Easter Egg Hunt following the Worship Hour. April 5: Easter SONrise Service 8:00 a.m. Breakfast to follow around 8:45 am. April 5: Easter Worship and communion 10:55 a.m. Kids in Cedar Springs are excited about Easter. 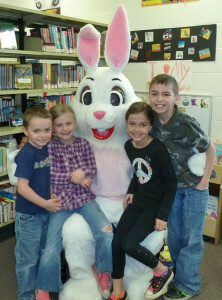 It was easy to tell that last Friday, April 11, when ninety-five kids and adults visited the Easter Bunny at the Cedar Springs Public Library. Inside they had three different craft stations, stories, a basket full of Easter Eggs with candy treats. Outside was a mama goat with 2 babies (just born one week ago), four other small goats, baby chicks and four different kinds of bunnies, all courtesy of Cindy Karafa and Double K Farms. 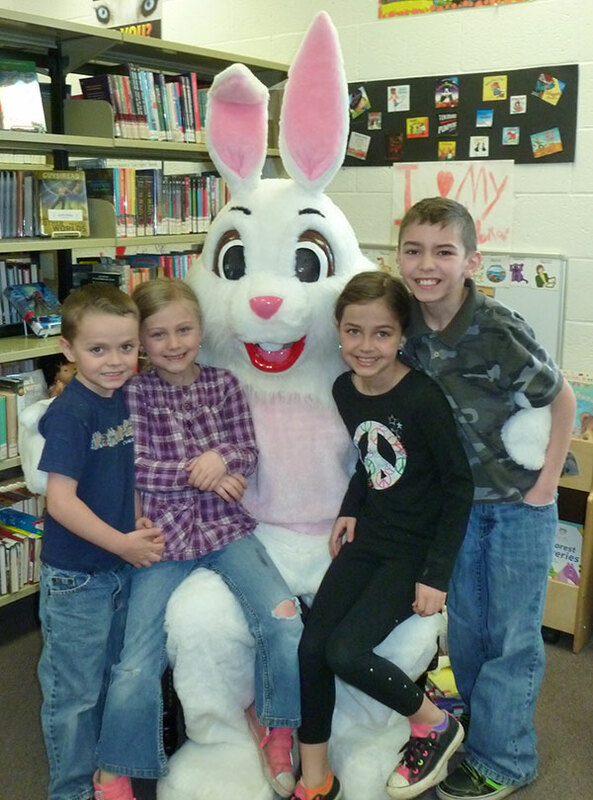 When the Post interviewed the Easter Bunny after the library event, she said that she really enjoyed the children in Cedar Springs and wanted to thank them for the pictures with her. The Mike Cook home at 3240 17 Mile, Solon Township, is a bright spot at Easter time each year. 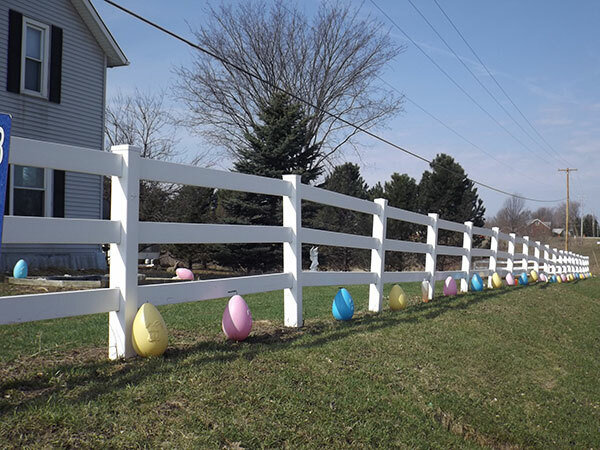 The Cooks have been decorating their yard with these colorful eggs for the past eight years. Luckily they didn’t lose them in last Saturday’s storm. Take a drive by and see for yourself! “The Mystery of Al Capone’s Vault” aired almost three decades ago this week, and at the time, it was the most watched syndicated television show in history. The charismatic host of the show that evening promised the unveiling of long-kept secrets, the unknotting of historical mystery, and priceless artifacts from where Capone once lived. That host was Geraldo Rivera. Yes, before he had his nose broken on daytime television; before he had fat sucked from his buttocks and shot into his forehead; before he was sent packing from Afghanistan for disclosing the location of US troops; and before that viral shirtless selfie on Twitter, Rivera had long ago revealed how ill-advised some of his decisions could be. With 30 million people watching to see mysteries solved and questions answered, the vault was opened revealing nothing—unless you consider an empty gin bottle to be of historical importance. The opening of Capone’s treasures was a story as empty as the vault. Unafraid to soften his words, Paul goes on to say that without Easter, Christianity is a farce; eternal life is a promise built on overhyped lies; God’s grace has been misrepresented; and those who adhere to the faith are as pitiful as Geraldo in a warzone (that line is not a quote from Paul, though he might have appreciated it). Nonetheless, in rising from the dead, Jesus signaled that he would redeem humanity by overcoming all enemies, even death, and return the universe to wholeness. He will bring all of God’s creation back to life, making “life worth the living,” as the old song goes, “just because he lives.” So we confess this hope: “Jesus Christ is risen! He is risen indeed!” An ambitious confession? Yes, but confession that the tomb is empty is far more than an empty promise. When you think of Easter goodies there’s a good chance the flavorful jelly bean comes to mind – a big hit with kids young and old. But, because flavor preferences change with age, it stands to reason that not all Easter gifts are created equal. So, how do you navigate the taste bud temperament of loved ones so everyone will receive special Easter treats they love? With more than 100 flavors of jelly beans under their belts, Jelly Belly Candy Company has an idea of what types of flavors will be more popular with both kids and grownups. “When we talked to kids, we learned that the more complex or exotic the flavor, the less likely they were to enjoy it,” said Lisa Brasher, executive vice chairman and a fifth generation candy maker for company. Flavor innovation keeps a company like Jelly Belly on its toes. As people age, their taste buds mature and become more open to those complex flavor profiles children shy away from. The coconut flavor is a great example of this. “Although our panel of kids gave coconut low scores, when you look at adults who purchase our jelly beans, it’s is a very popular one,” explained Brasher. By taking the feedback from children of all ages into consideration, the jelly bean company assembled its youthful Kids Mix, a collection of 20 flavors kids love. The mix makes it easier for anyone to pick winning flavors like cotton candy, berry blue and watermelon for Easter treats. More adult-friendly flavors like licorice, cinnamon and buttered popcorn are purposefully absent from the mix. According to Brasher, there was one surprise among the company’s findings, “We were shocked when caramel corn didn’t crack the top twenty flavors with the kids,” she said. Despite their palate differences, kids and adults can agree on one thing—very cherry is their top pick. It’s the most popular Jelly Belly bean flavor in America, placing among the top two since its debut almost 40 years ago. For a brief period, it was upset by buttered popcorn and fell to the number two position, but it’s been consistently the winning flavor since. “I don’t see that changing any time soon,” said Brasher. For the little ones: Give them what they want. Stick to tried and true fruity flavors and other kid-friendly tastes like cotton candy and toasted marshmallow. For the grownups: Go with complex flavors and new flavor experiences, such as the unique offerings of chili mango, draft beer and cappuccino. Save and celebrate: Be sure to hold onto your favorite jelly bean flavors to enjoy on National Jelly Bean Day. This year, it’s just two days after Easter on April 22nd. 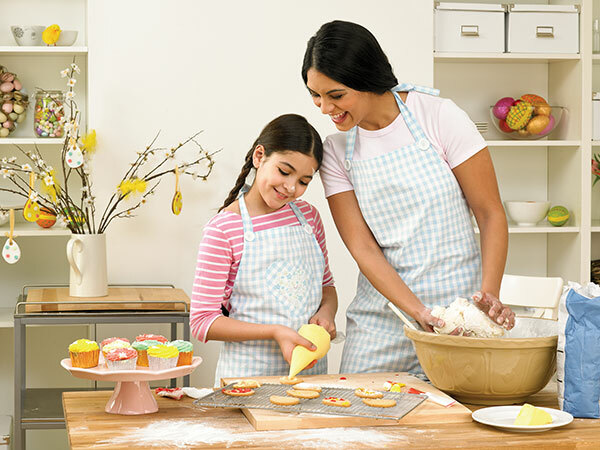 Use these gift tips and you’ll see many smiles on Easter morning. For other flavorful ideas, visit www.jellybelly.com. April 18: You are invited to join together in worship with the churches of Cedar Springs for our community Good Friday service at 7 p.m. on Friday, April 18, at The Springs Church, 135 N. Grant Street, Cedar Springs. Childcare will be provided. This program is being sponsored by the Cedar Springs Ministerial Association. April 19: Would you like a new way to celebrate Easter this year? Or, are you wondering how Easter is even relevant to life today? Either way, you won’t want to miss Resurrection Celebration, coming to Cedar Springs High School on Saturday, April 19 at 2 and 7 p.m. This community production is a musical drama highlighting the birth, life, death and struggles of Jesus Christ. Bring your friends and family to see this exciting event. Admission is free, but tickets are encouraged. Pick up tickets at The Springs Church from 9 a.m. to 4 p.m. Monday through Thursday; and at The Cedar Springs Post, Cedar Springs Public Library, Main Street Restaurant, Alpha Omega Coffee and Games, and Perry’s Place, all in downtown Cedar Springs. April 19: Saturday Easter Eggstravaganza, 1 – 2:30 p.m.
April 20: Easter morning worship services at 9:30 & 11:15 a.m.
April 13: Palm Sunday, 10 a.m.
April 17: Maundy Thursday, 7 p.m.
April 18: Good Friday, 7 p.m.
April 19: Easter Saturday, 7 p.m.
April 20: Easter Sunday breakfast at 8:30 a.m, followed by worship service at 10 am. April 18: Good Friday Service, 7:30 p.m.
April 20: Easter Breakfast, 8:15 a.m.
April 20: Easter Worship Service 9:30 a.m.
April 19: Family Easter Carnival 10:30-12:00. Easter egg hunt will start right at 10:30 with indoor carnival games to follow. April 19: Saturday Easter Eggstravaganza egg hunt and more 12 noon to 1:30 p.m.
April 20: Easter morning worship at 10 a.m., breakfast 8:30-9:30 a.m.
April 20: Easter Worship Celebration 9:45 & 11:15 a.m. This Easter, when the eggs are found and the baskets are unwrapped, will you feel satisfied or still searching? 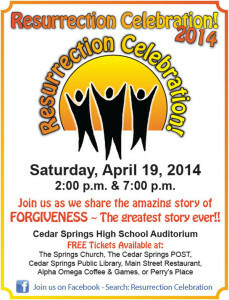 Join us at The Springs Church for a celebration full of joy and meaning, not empty ritual. Your whole family will enjoy the great music, fun for the kids, and a message that will bring direction and encouragement to your faith journey. Come find what’s missing in your Easter! We’ll be looking for you. For more information visit our website www.thespringschurch.info or call 616.696.2970. We hope to see you at The Springs this Easter! April 17: Maundy Thursday service 7:00 p.m.
April 20: Easter morning worship at 9:30 a.m.
April 20: Easter Morning Worship at 10 a.m.
April 13: Palm Sunday Worship at 9:00 a.m. & 11:30 a.m.
April 17: Holy Thursday Worship with Holy Communion at 7:00 p.m.
April 18: Good Friday Prayer stations in the sanctuary until 10:00 p.m. The Kent Theatre in Cedar Springs is bringing the popular movie “Son of God” to the theater for three days over Easter weekend—April 18, 19 and 20. “A lot of people have expressed an interest in seeing it, and we thought this would be a good weekend to show it,” said Theatre president Len Allington. 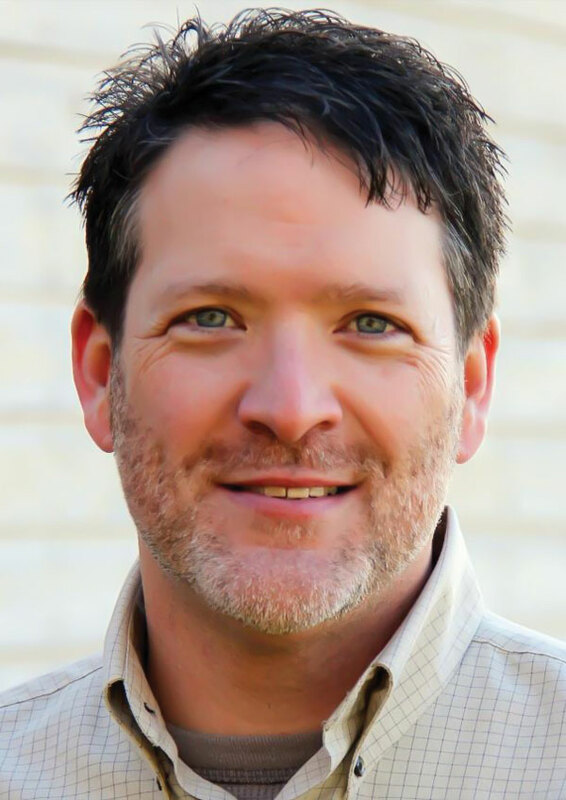 A description of the movie says it “brings the story of Jesus’ life to audiences through compelling cinematic storytelling that is both powerful and inspirational. Told with the scope and scale of an action epic, the film features powerful performances, exotic locales, dazzling visual effects and a rich orchestral score from Oscar (R)-winner Hans Zimmer. 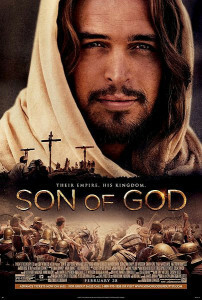 Portuguese actor Diogo Morgado portrays the role of Jesus as the film spans from his humble birth through his teachings, crucifixion and ultimate resurrection.” It is rated PG-13. Admission is $3. Watch the Post for show times or visit http://kenttheatre.org and plan to see “Son of God” Easter weekend! 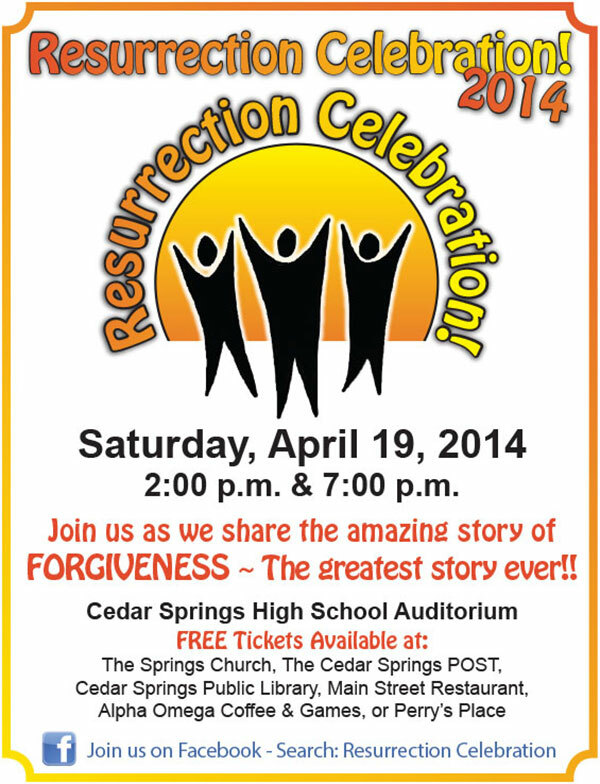 Resurrection Celebration, a Cedar Springs community production celebrating the good news of the Easter story, is back for 2014 and is still in need of volunteers. We would love to have you join us! There are many positions to fill, including men, women and families to be part of the Biblical crowd scenes, ushers, childcare workers and food coordinators. The shows will be April 19 at 2 and 7 p.m. at Cedar Springs High School. If you would like to help out in some way, meet at The Springs Church, 135 N. Grant Street, this Sunday, March 30, from 2-4 p.m. or contact Cherryl and Jan at resurrectioncelebration@outlook.com. Hundreds of kids and their parents descended on the field at Red Hawk Elementary Saturday, March 30, for the annual Post Community Easter Egg Hunt. We had blue skies, bright sunshine, and lots of colorful plastic eggs filled with candy that were all gone in a flash! 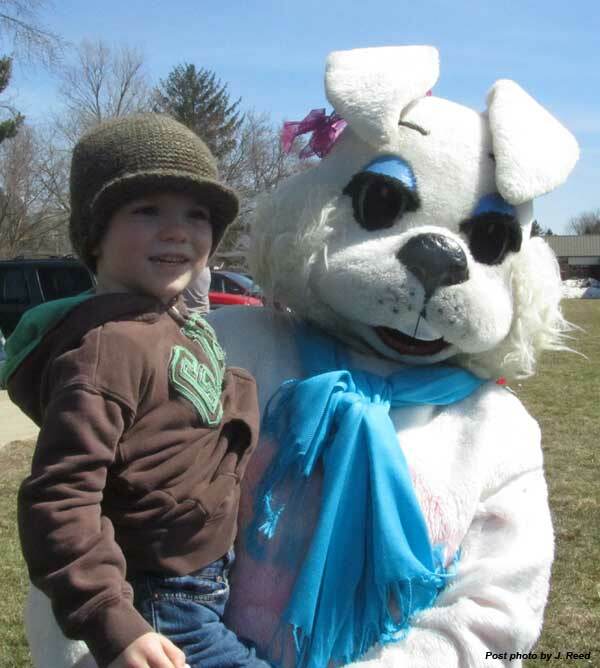 We had 18 basket winners (see their photos here) and for those kids who didn’t find a specially marked egg, they went home with a consolation candy cup. A special thank you goes out to all the parents for bringing their kids out; Cedar Springs Schools for allowing use of the field; Family Fare for providing the candy consolation prizes, and for building the winner baskets; Classic Kelly’s Restaurant and the Cedar Springs Rotary for providing and filling the plastic eggs; the Keystone Kops and the Cedar Springs Fire Department for running the hunt; Dan Randall for his donation of coins, and use of tables; the Red Flannel Queen and Court for helping with the hunt; all the Post staff members who helped at the hunt, and of course, The Easter Bunny! A special thank you also goes out to all those who helped sponsor the hunt with a monetary donation.